Air Fryer Chicken Recipes. Back by popular demand we have all of our best ever chicken recipes in the Air Fryer all in one place. 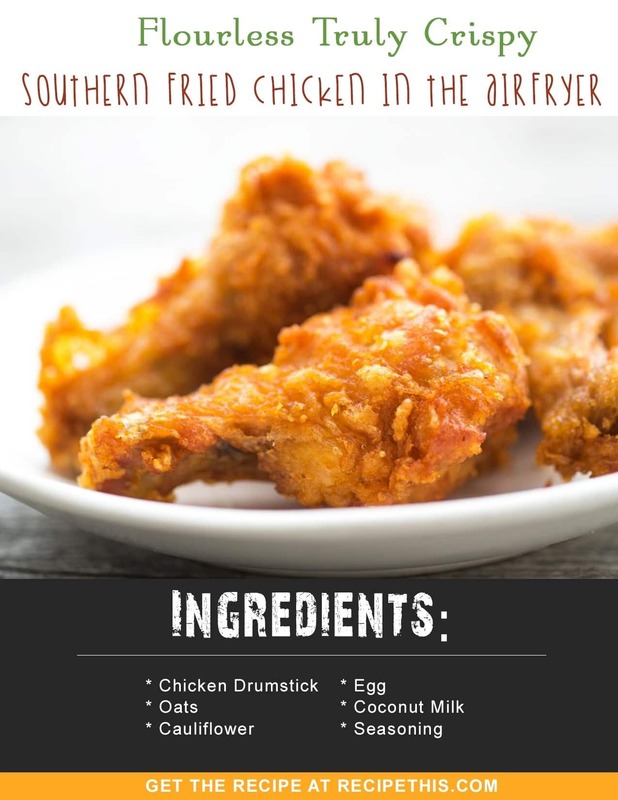 Download and save all these amazing air fryer chicken recipes for later and you will remind yourself that the Air Fryer was the best kitchen gadget you ever bought! We have had our Air Fryer for a long time now. I can’t remember the exact date when we got the Air Fryer but Dominic and I agree that it must have been some time in late 2011 or early 2012. We saw an advertisement in a British diet magazine for one and within a couple of weeks we were testing chicken out in our kitchen. It was this particular version of the Philips Airfryer and if you are still on the fence about getting one, go with Philips. I have seen lots of other Air Fryers come and go, but Philips was the first and it’s a case of you “get what you pay for”. Its more money than the others but it has no flaws and my first Philips Airfryer did more than 5 years from daily abuse. Compare this to other Air Fryer models I have tried, that have never lasted much longer than 2 years and it makes you realise you must pay for the quality, if you want a long-term kitchen gadget. Or if you want to spend a little more this is the Philips Airfryer we currently own. There are 2 types of food that I would say are just meant to be cooked in the air fryer. The first is potatoes and then the second is chicken. Both are good because you can have all your naughty fast food for very little calories and it often tastes as good (if not better) than having a takeaway. That’s probably why, above all others why our chicken and potato recipes get the most views on our blog, the most social shares and get talked about the most. But I often get asked, if I am going to put together a new round of my air fryer chicken recipes, with it being such a long time since I last did it. If you have not read it, this is our original chicken recipes in the airfryer post, that we wrote back in September 2016 only had a few of our favourites on, and we have many more. So, we should be calling this chicken air fryer recipes volume 2! So, sit back and relax and let me take you through our love for air fryer chicken recipes with our BEST EVER recipe ideas. These are so good, not only will they make you hungry straight away, but you will want to be trying out all these recipes! I have divided each of our air fryer chicken recipes into sections. It makes it easier then to navigate from one section to another and perfect for if you have some spare chicken and have a type of air fryer recipe in mind. Starting with air fryer chicken sandwiches because I am just obsessed with making sandwiches in the air fryer. They are just so good, it is wrong not to have air fryer chicken sandwiches! Why we LOVE this air fryer chicken recipe – You can easily lose the bread if you are on a low carb diet or have this with the bread for brunch on a weekend. I just look at the picture and want to it again! 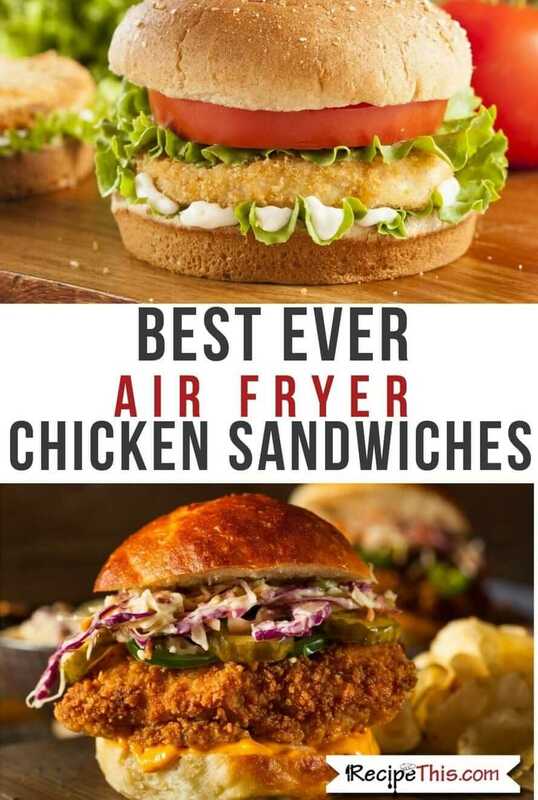 Why we LOVE this air fryer chicken recipe – If you love the McChicken Sandwich from McDonalds and would love to make a healthier copycat version at home then this is the best! We have 3 awesome air fryer whole chicken recipes. Each of them is must try’s for the air fryer and if you have not tried whole chicken yet in the air fryer then make it your next air fryer chicken plan. Why we LOVE this air fryer chicken recipe – You can marinate your chicken just like they do at Nando’s and then cook it in the Air Fryer. You can also use this as your dummy recipe for any of your favourite marinades. Why we LOVE this air fryer chicken recipe – If there is one type of chicken that you buy an air fryer to cook, it must be a simple whole chicken in the air fryer. Much crispier than traditional whole chickens and you will want to eat this every day. Why we LOVE this air fryer chicken recipe – For our third and favourite whole chicken in the air fryer comes our Air Fryer Rotisserie Chicken. Tastes just as good as the rotisserie chicken from the supermarket. Do you have a spare bit of chicken in the fridge and want a quick supper or a quick snack? Then these are the air fryer chicken recipes to try. We have air fryer chicken wings, air fryer chicken nuggets, air fryer chicken drumsticks, air fryer chicken kebabs and air fryer chicken breast. Why we LOVE this air fryer chicken recipe – I love a takeaway and this is a great quick eat based around Nando’s chicken wings. Very Portuguese and perfect if you want chicken in a hurry. Why we LOVE this air fryer chicken recipe – If you love Buffalo chicken wings then you’ll love the fact that you can make them in the air fryer and that they are extra crispy! Why we LOVE this air fryer chicken recipe – If you love chicken drumsticks then start with these spicy Nando ones. Really crispy and perfect for that mid-week meal when you can’t be bothered to cook. Why we LOVE this air fryer chicken recipe – If you love Mediterranean cooking and want something quick and easy to eat in the Air Fryer then try these. Do you want healthy air fryer chicken recipes that are suitable for the whole30, paleo or other similar low carb diets? Then we have you covered! Why we LOVE this air fryer chicken recipe – If you’re on Paleo, Whole30 or any other similar diet and want a delicious Air Fryer chicken salad then you MUST try this. Why we LOVE this air fryer chicken recipe – If you want something quick with chicken and potatoes together then this is your go to meal. Combining chopped up potatoes with chicken thighs the smell of this will drive you crazy. I love to make our dinner in the air fryer. I can just grab some chicken, marinate it, season it or bread it. Then place it in the air fryer. Then serve it with fries, salad or vegetables and then we have a healthy dinner on the table. Why we LOVE this air fryer chicken recipe – Nobody breads chicken better than the Germans do and this chicken schnitzel is a classic breaded chicken in the Air Fryer. Do you like to go gluten free? Do you like the idea of cutting down on your flour and eating the most famous flour recipes with an alternative, but without losing out on flavour? Well if that’s the case you need our flourless air fryer chicken recipes. Why we LOVE this air fryer chicken recipe – everyone loves the amazing flavours and the crunchy texture of southern fried chicken. In this version it is without flour and OMG you will want more! Why we LOVE this air fryer chicken recipe – Chicken nuggets have this reputation for being that unhealthy snack that we all feed our kids. But what about a modern twist on it that is flour free, healthy and delicious. Why we LOVE this air fryer chicken recipe – Love cheese? Love ham? Then you will love a flourless chicken cordon bleu in the Air Fryer. Why we LOVE this air fryer chicken recipe – If you want tender chicken pieces without the guilt then make these. Succulent chicken pieces don’t get any more succulent than this. Why we LOVE this air fryer chicken recipe – More healthy chicken in the air fryer this time breaded chicken cutlets that are flour free. These are the best, served with French Fries and some aioli for a mid-week meal. Saving the absolute BEST until LAST we have our KFC chicken air fryer recipes. If our blog is famous for its Air Fryer Chicken recipes, then it has to be its Kentucky Fried Chicken. Much lower in calories than if you eat out at KFC and so good that you will want to eat it like this time and time again. Thanks for reading all about our favourite air fryer chicken recipes. Out of all of the chicken gadgets that we own, the air fryer has the biggest place in our heart due to the weight it has helped us lose, all at the same time as eating lower calorie versions of our chicken recipe favourites. If you don’t have an air fryer yet, then we recommend you get this one, it’s the same one we have and has been a lifesaver to us. We also have ALL the air fryer chicken recipes mentioned above in one cute cookery book and you can buy it for just $4.99 on Amazon. Its perfect if you want to save the recipes to your device, print them out or want them free of adverts. 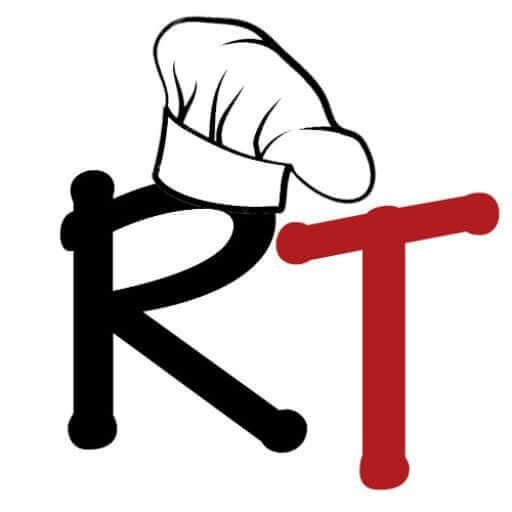 What a wonderful collection of recipes, I’m drooling as I type!